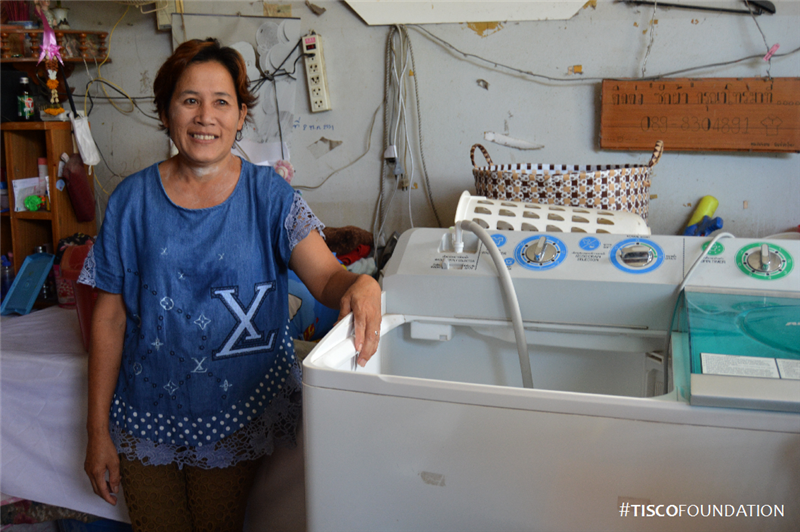 TISCO Foundation had a chance to visit Sommai Pimprapai, a beneficiary of our start-up grant program who received a washing machine and other equipment to expand her laundry service business in Lopburi. 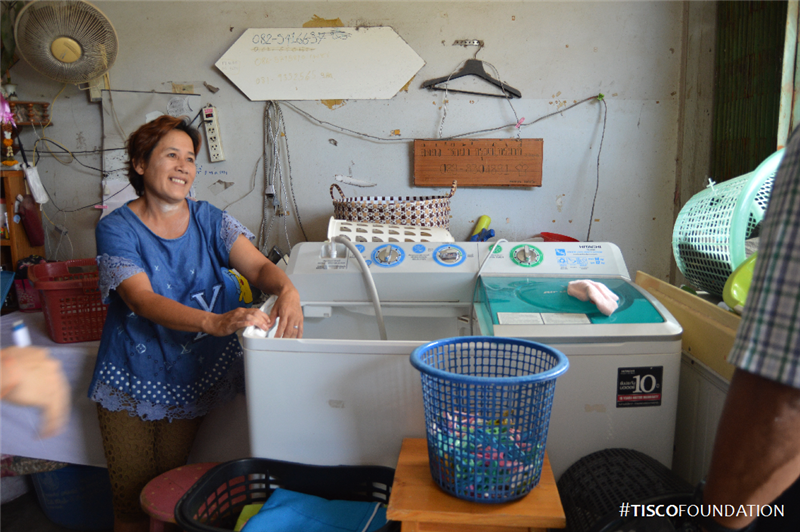 She said that she could finish work faster, giving her more time to get new customers. 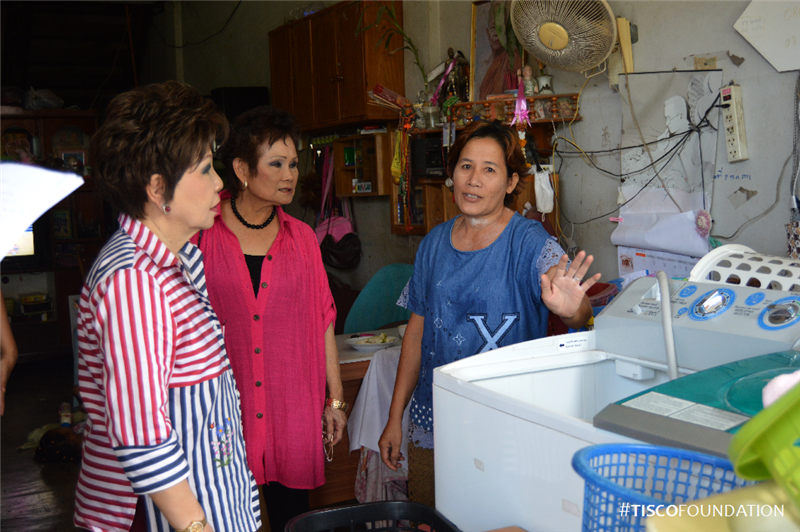 She also increased a service fee from THB 350/month to THB 500/month.